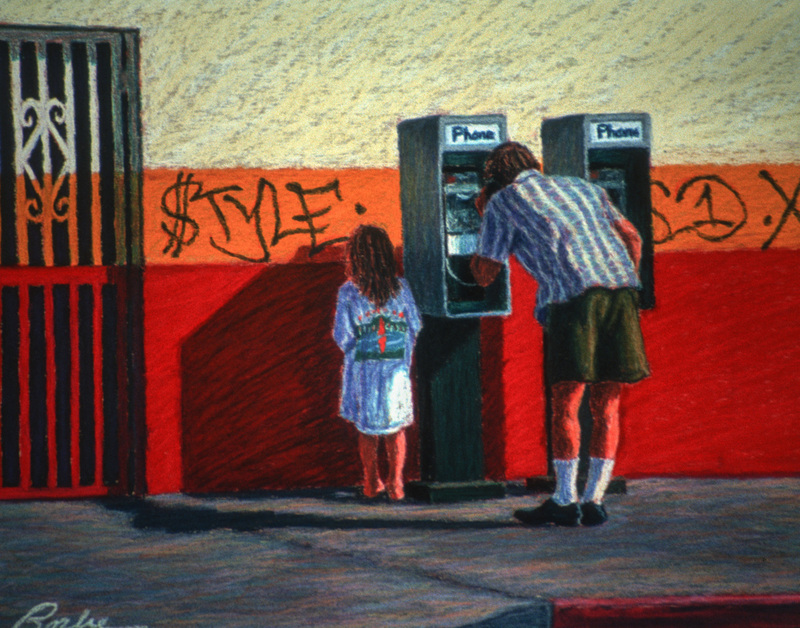 A young girl with her dad at a public phone booth while he makes a call, she checks out the graffiti on the wall. This original pastel on paper is in a private collection, prints are available. 7" x 9"11" x 14"13" x 16.5"16" x 20.25"